Part three in a five-part series, this webcast will be a demonstration of the integration of Hortonworks HDB and Apache Hadoop YARN. 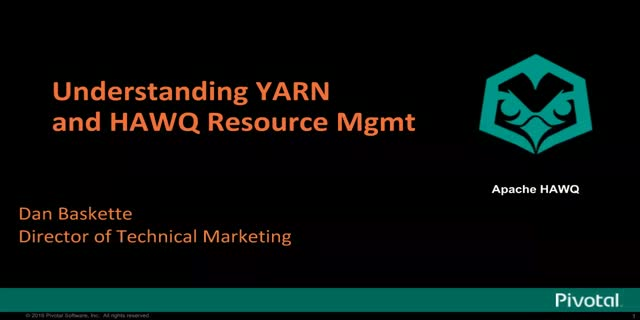 YARN provides the global resource management for HDB for cluster-level hardware efficiency, while the in-database resource queues and operators provide the database and query-level resource management for workload prioritization and query optimization. This webinar will focus on demonstrating the installation process as well as discuss the various YARN and HDB parameters and best practice settings.